The hostel by the lighthouse at the small island of Högbonden at swedens High Coastmust have the most beautiful view of any hostel in the world! 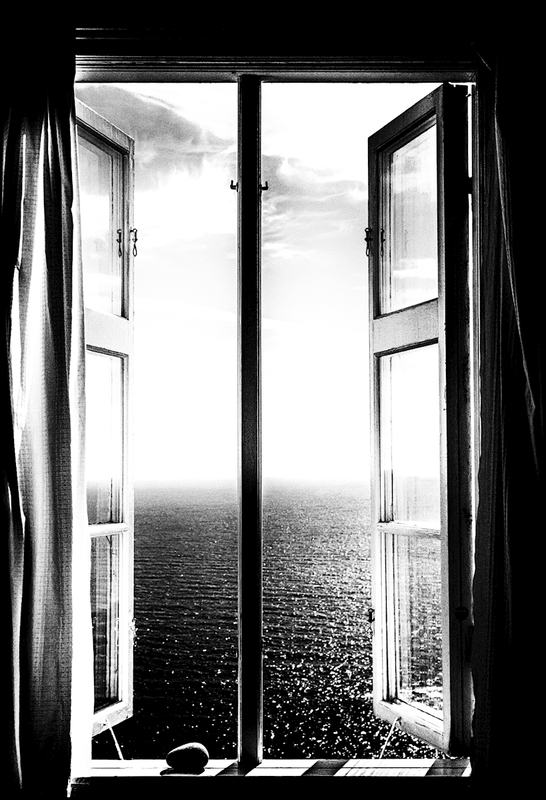 This black and white photograph of an open window overlooking the ocean is one of our most popular prints. A perfect stylish and personal decor piece for the livingroom or anyone looking to add an extra window to their wall.